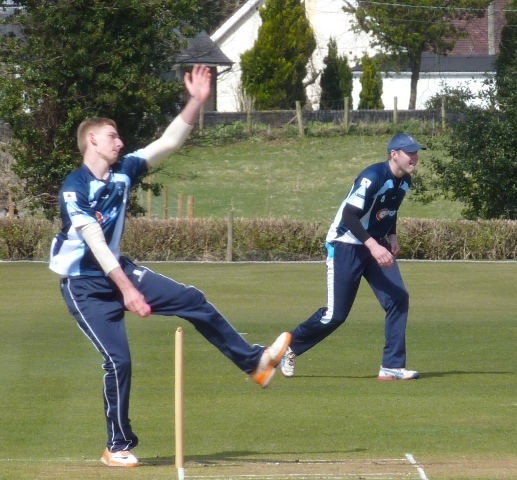 APD Dumfries won their second Scottish Cup group match with a 23 run victory over Falkland at Nunholm on Saturday. The Dumfries side set a total of 169 thanks to 48 from opener Alan Davidson, who was the Annandale Insurance Dumfries Man of the Match, and 46 from Tom McBride who dominated the scoring in the later overs. In an engrossing finish the bowlers managed to defend that, dismissing the visitors for 146 with four overs left. That was after the visitors had been well placed at 93 for 2. Spinner Scott Beveridge took four wickets, opening bowler Peter Lojszczyk three and young quick bowler Niall Alexander made an important late breakthrough when he sent the middle stump cartwheeling in his first over and claimed a second wicket in his four overs. The side next play Heriots in the Cup away in Edinburgh on Saturday. Also on Saturday, Nunholm lost their local Western Cup match at Galloway by just 9 runs. Fraser Conn with 44 set up a Galloway total of 142 for 8. For Nunholm, Trefor Newport and Mark Irwin took three and two wickets apiece. The Nunholm JB Houston Man of the Match Davie Davidson contributed 32 in the Nunholm total of 133 all out, and youngster Todd Rafferty was last man out for 21 trying to score the required 14 off the final over. Nunholm play Irvine in the Western Cup at home on Saturday. 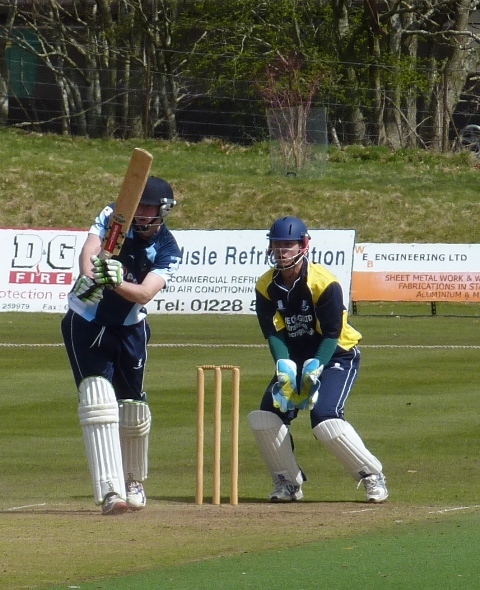 Womens Cricket: Dumfries’s Kirsty Strachan has been selected in the Scotland Womens’ side that travel to play Leicestershire and Derbyshire in the County competition at the weekend and she and Rosy Ryan played for Scotland Women against Japan today. The club’s womens’ training takes place on Fridays from 5 to 7 and Monday night junior sessions for boys and girls take place from 6:15-8. For details contact Trefor Williams on 01387 256455, email dumfriescricketclub@gmail.com or see www.dumfriescricketclub.co.uk , www.twitter.com/dumfriescricket .